The Best Leaf Stopper on The Market, This Quality Gutter Guard Is A Durable Aluminium Mesh Designed For Our Harsh Perth Weather Conditions. Stop Waisting Money On Costly Gutter Cleaning Services. Are your gutters constantly getting blocked or over flowing? Westcoat® Gutter Guard and Gutter Protection products ensure your gutters are kept free from leaves and other debris which can obstruct not only water and rain draining from your roof, it can also assist in fire protection and prevent pests accessing your roof cavity as gutters are often used as a pathway for rodents and other animals to enter your home. No more costly gutter cleans meaning less damage to your roof by reducing foot traffic caused during the gutter cleaning process. 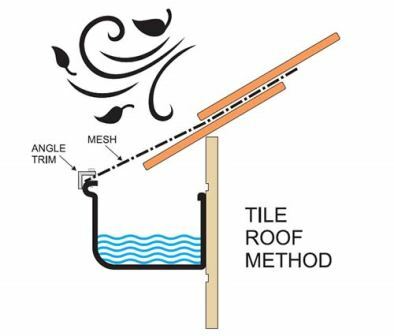 Tiled roof installs – the mesh goes over the first tile and tucked firmly under the second tile, its then secured to the front top of the gutter with a gutter trim and screws. 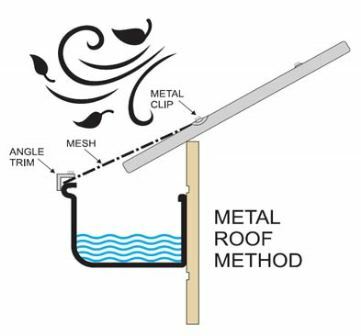 Metal roof installs – the mesh is screwed to the roof sheeting using saddles and roof screws in the same colour as the mesh or roof, its then secured to the front top of the gutter with a gutter trim and screws. Gutters cleaned and the gutter guard professionally installed all complete just in 1 day. 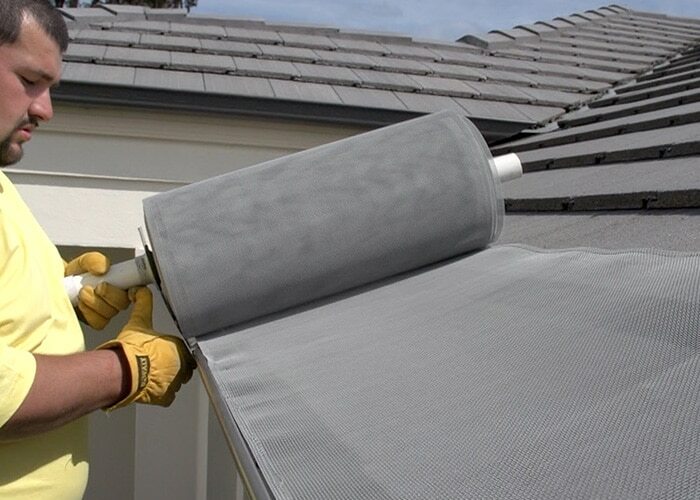 Westcoat® uses a tightly woven gutter mesh on all our gutter guard installs, the aluminium mesh comes in a range of Colorbond colours, we can match your mesh to your existing roofing colour so it blends into the roof to compliment your homes appearance. 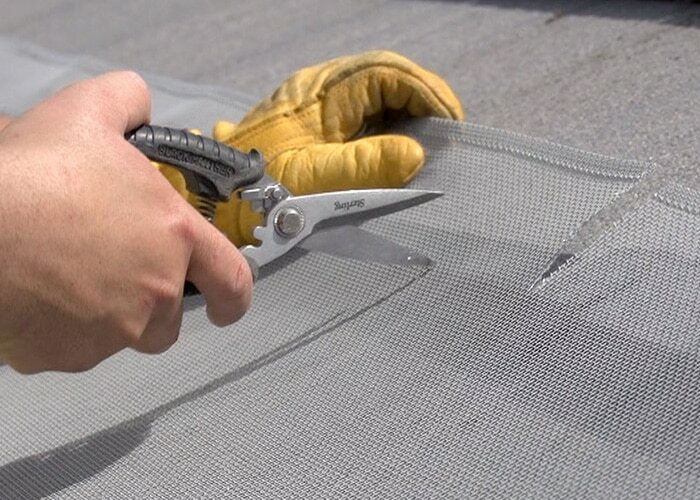 When installing gutter guard to metal roofing we secure the mesh to the roof sheeting using a saddle to secure the mesh tightly to the roof to preventing it from coming loose and stops the mesh from sagging, the saddles will blend into the roof colour. Westcoat® gutter trim secures the gutter mesh to the top of the gutter, the gutter trim blends in with the gutter colour whilst the mesh blends in with your roof, the trim secures it tightly to the gutter and can be un-screwed to access the gutter. 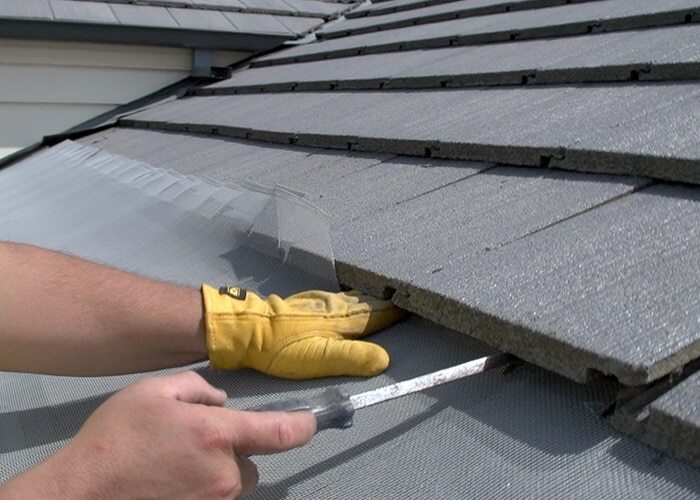 Once the gutter guard is installed we the secure the gutter mesh to the front top of your gutter using a gutter trim, the trim is then screwed onto the top of the gutter to secure it tight. All screws are in Colorbond colours and will blend into the gutter trim. 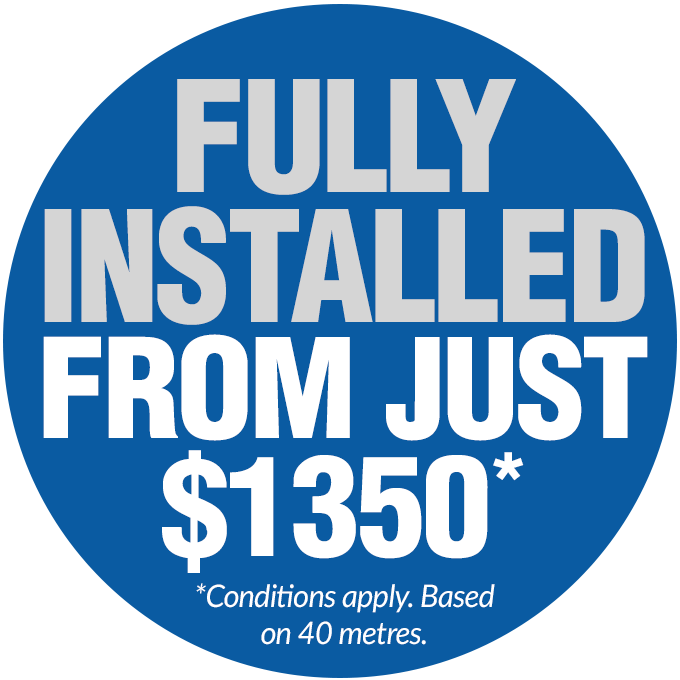 It may surprise you but over half our work comes from fixing up Perth`s dodgy back yard operators poor workmanship in many gutter guard installs that could have been installed for not a lot more money by qualified tradesmen the first time. Theres more to know than just installing a gutter guard as some of these customers find out the hard way when the winter rains return and they can`t get in touch with the original contractor. Its important to understand what warranty you are getting once your gutter guards are installed. Westcoat® supply you with genuine written warranty, warranting your gutter guard mesh for up to a period of 20 years. If you don`t get a written warranty then you simply don`t have a warranty covering your gutter mesh. At Westcoat® we only use genuine Colorbond® fittings and trim from Bluscope steel. Colorbond® has been trailed and tested in our harsh environment for the past 45 years, it has been proven to be the toughest product on the market for longevity when it comes to protecting Perth properties. Get Clean, Low Maintenance Gutters Today! Westcoat® fully insured gutter guard installers are uniformed qualified trades professionals that will leave your home completed so you need not worry about getting your roof repaired from any damage incurred from your new gutter gutter guard installation. Westcoat® specialise in single and two storey homes providing our services to residential, strata and commercial properties of all sizes and are available to all the local suburbs throughout Perth. 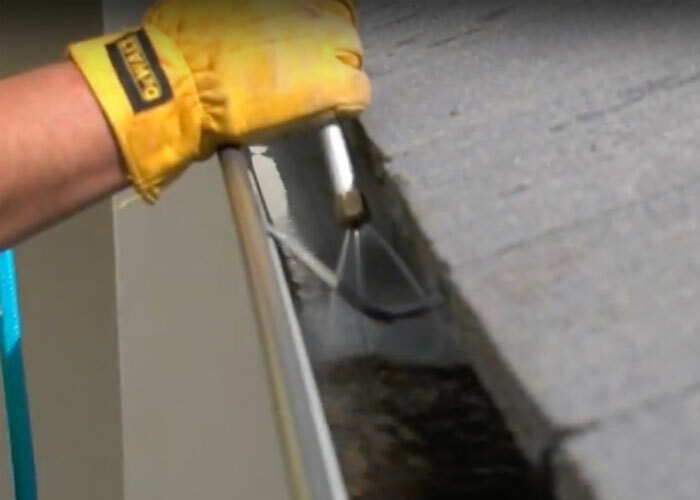 Call the professionals at Westcoat® Perth`s Roof & Gutter Restoration Specialists today for more information on your gutter guard requirements. Call Us for free no obligation inspection and we will provide you detailed written gutter gutter guard quote. We Provide you professional advice on the right gutter guard for you properly to prevent leaks and further damage. Gutter guard installed within 2 weeks from your quote acceptance by one of our fully insured, uniformed skilled tradesmen.